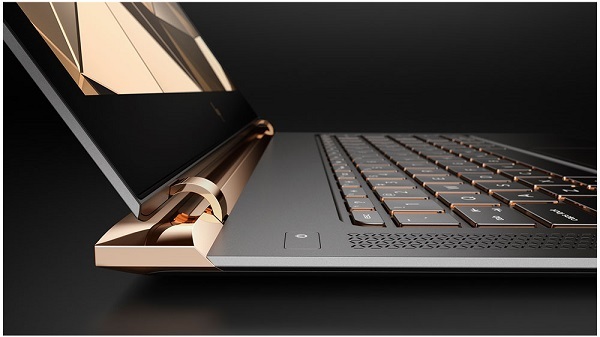 HP Spectre 13 launched as world's thinnest laptop. HP today at the New York Times International Luxury Conference raised the bar for the premium PC experience with the debut of the new Spectre 13, the world's thinnest laptop. The new Spectre 13's CNC machined aluminum chassis as thin as an AAA-battery at just 10.4 mm and it comes with Full HD 13.3" diagonal edge-to-edge display and Bang & Olufsen sound. Powerful Intel Core i5 and i7 processors on the Spectre 13 deliver superior performance versus mobile processors often used in this class of device. + Spectre 13 features Full HD IPS 5 edge-to-edge display with Corning Gorilla that delivers a superb viewing experience for editing photos, perfecting a presentation, or watching a movie. + 6th generation Intel Core i5 and i7 processors and a lightning fast PCIe SSD with storage up to 512 GB7 with up to 8 GB of memory for maximum performance. Integration of Intel hyperbaric cooling system keeps the machine running cool even with powerful processors in a small package. + Stereo speakers by Bang & Olufsen with HP Audio Boost technology, a combination of hardware and software to give customers the depth they want. + Three full function USB Type-CTM connectors, including two of which support Thunderbolt, to provide a fast, versatile I/O connection. + A carbon fiber bottom creates a thin profile that is both durable and lightweight, keeping the total weight of the notebook at just 2.45 pounds. + High gloss copper accents reflect a hand-polished, jewelry-like finish and an innovative hidden piston hinge creates the illusion of a hinge-less design to offer an unmatched premium look-and-feel. + An innovative hybrid battery split into two thinner pieces delivers the same wattage as a single battery for up to 9 and half hours of battery life4 while enabling the world's thinnest laptop. The 13.3" diagonal HP Spectre is planned to be available on HP.com and BBY.com on April 25 for pre-order with a starting price at $1,169.99 and is planned to be available in Best Buy stores on May 22 with a starting price at $1,249.99.